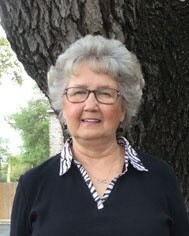 Karen was born and raised in San Antonio and graduated from San Antonio College in 1969 where she received her Associate’s Degree in Applied Science. Her favorite part of her job is interacting with her wonderful patients every day. In her free time, Karen loves to garden and read a good book. Amy grew up in San Antonio, Texas and graduated from Roosevelt High School in 1994. 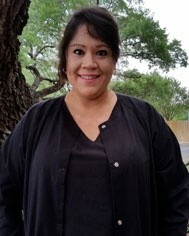 She attended San Antonio College for Dental Assisting and graduated in 1996. Amy has received additional training in nitrous oxide monitoring and is Invisalign® certified. 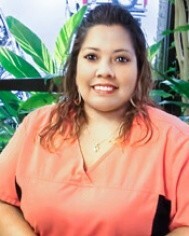 Her favorite part of her job is meeting and talking with new people and forming relationships with patients. In her free time, Amy enjoys watching movies and sports and spending time with friends and family. She is married to her high school sweetheart, and together they have two daughters and a son and own a local youth football team. Amy loves animals and enjoys taking trips with her family. Carolyn was born and raised in San Antonio and has lived here her whole life. She attended San Antonio College where she received an Associate’s Degree in Applied Science, as well as her Dental Assistant degree. Her favorite part of her job is her team and her patients. In her free time, Carolyn enjoys reading, making jewelry and traveling, and spending time with her two lovable cats. 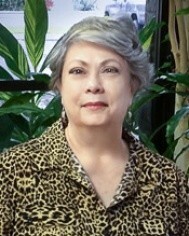 Elida was born in Michigan and grew up in Wichita Falls, Texas. She graduated from Bible Baptist Christian School in 1992, and then went on to attend Cosmetology school. Her favorite part of her job as a Dental Assistant is meeting new people every day. In her free time, Elida enjoys being creative and preserving memories by working on scrapbooks. Elida is married and her husband owns a pest control company. Together they have a 22-year-old daughter who just had a baby and two boys 8 and 5 who enjoy being Cub Scouts and doing karate. Elida is thrilled to be a new grandparent to baby girl Aliza Grace. Monica is originally from Los Angeles, but she moved here to San Antonio when she was 8 years old and grew up here ever since. Monica went to Roosevelt High School and graduated in 1986. 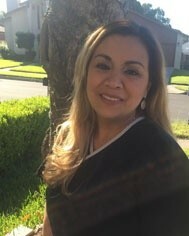 The following year she attended San Antonio College of Medical and Dental Assisting and received her Associate’s Degree in Liberal Arts. Her favorite part of her job is helping people create new smiles while providing compassionate care for her patients. 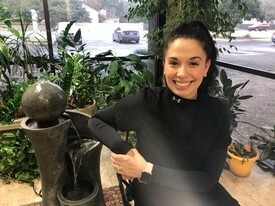 In her free time, Monica enjoys doing anything with arts and crafts, including drawing, painting, ceramics, and watching a good romantic love story. Monica comes from a large family and is the only girl out of her and three younger brothers. She has two incredible boys of her own, and two beautiful grandchildren. Her family is everything and means the world to her.